The largest marina on the US West Coast is, interestingly, in the middle of Southern California's largest city: Los Angeles. That juxtaposition of the recreational boating community and the social amalgam of a huge city provides interesting local communities and diverse social interactions. Venice Beach brings images of Muscle Beach, roller skates, and long sun-bleached blonde hair on both genders. 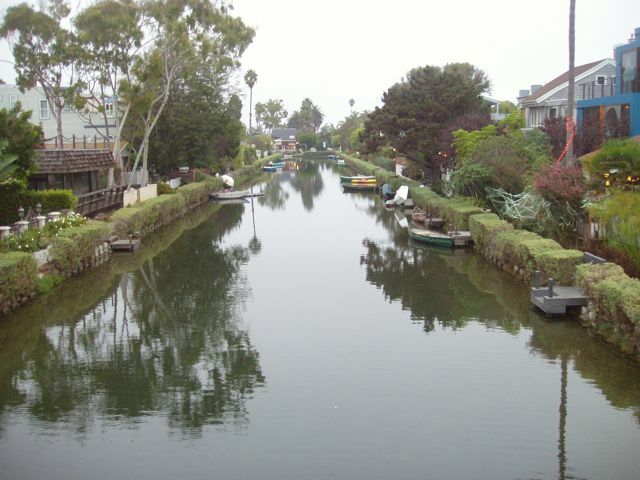 Nearby, though, is the lovely, quiet, and architectural diverse Venice Canal neighborhood. 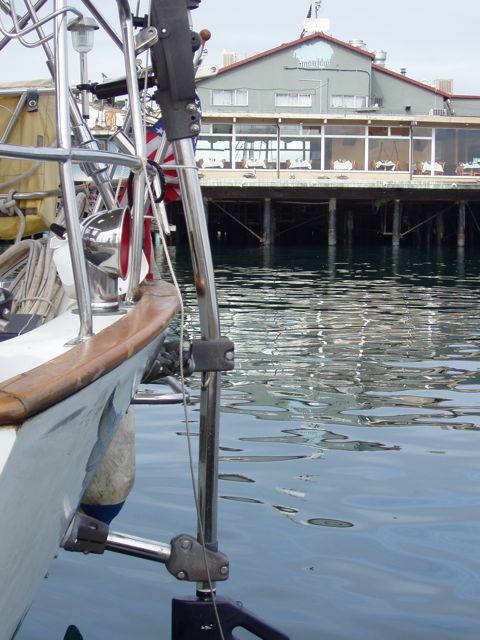 Back in Monterey Bay, we had a collision with a large wooden fishing boat. We were maneuvering in the harbor when the transmission cable failed. Before I could get to the engine, we had hit the other boat. No one was hurt and the fishing boat was, luckily, uninjured. 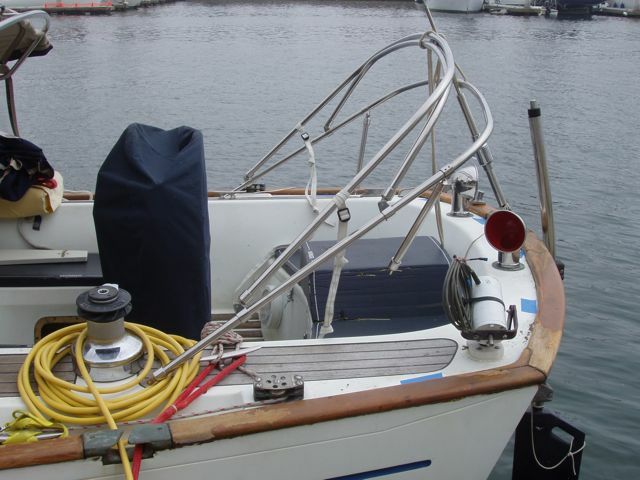 Our poor boat, though, suffered some cosmetic damage: Our stern pulpit was damaged on the port side and the wind steering unit, the Hydrovane, was damaged. Each part of the damage is being repaired or replaced and we'll soon be on our way. A replacement shaft for the Hydrovane is winging its way across the Atlantic from England and we'll receive in in San Diego. Locally, "Tea", from House of Stainless, is rebuilding our damaged stern pulpit. He was here today tacking together the replacement portside pulpit. Our poor Hydrovane shaft bore the brunt of the collision. Note bent shaft. 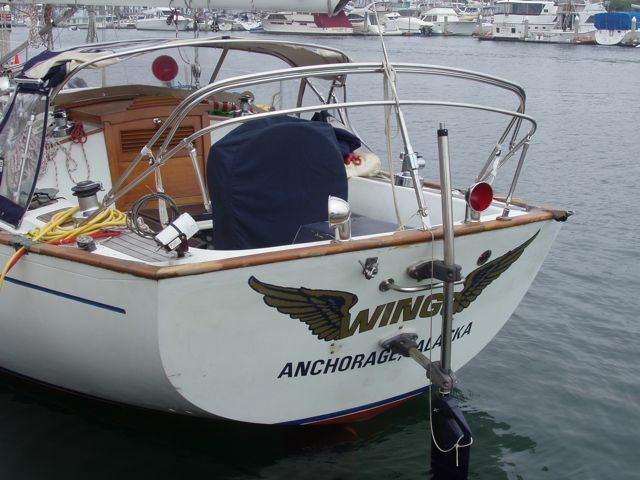 Luckily, all other components (rudder, control head, and brackets) were undamaged. Taken in Monterey. Damage to the portside pulpit was severe, as you can see. Taken in Monterey. Note all the bent tubing. The generator that provides energy from towing a propeller is bottom center. Taken in Monterey. The missing pulpit! Tea and I removed it for repair. 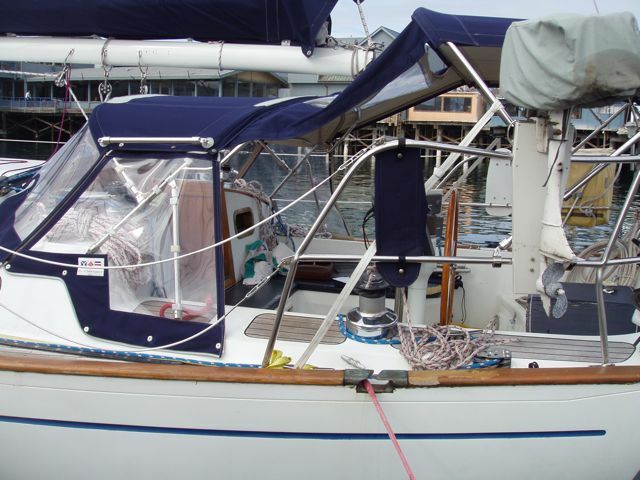 To save both time and money, he replaced only the damaged portside tubing. Taken in Marina del Rey. The blue tape marks where the base of the old pulpit was bolted to the boat. 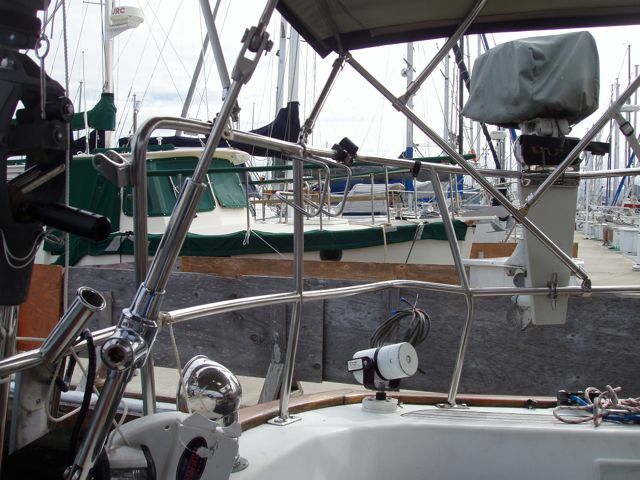 The arches for the bimini remain in place. 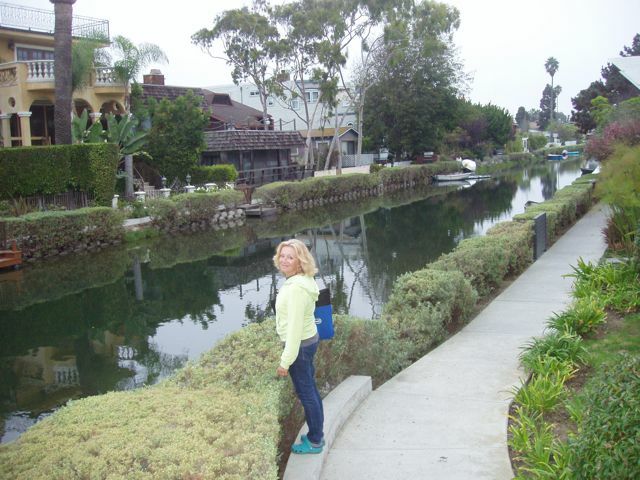 Taken in Marina del Rey. Another Conni treat! She creates this kind of meal at the drop of a hat. It's a wonder that I don't weigh a ton. 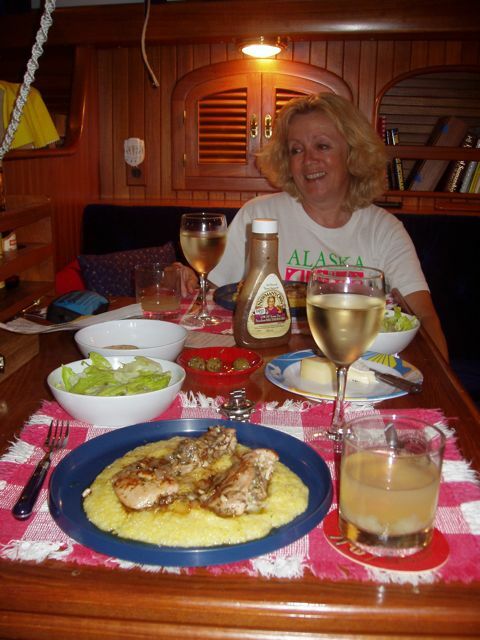 We eat like this most evenings while in port. The drink is a Mai Tai. Lovely Conni strolls down a canal in Venice. One of the hundreds of lovely homes in Venice. 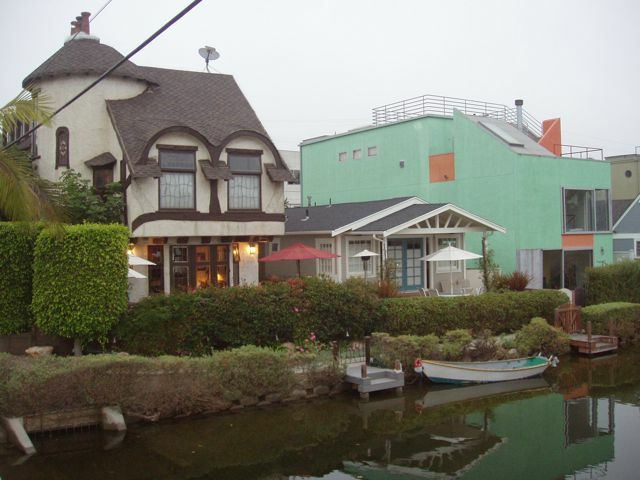 English Tudor, cottage, lime sherbet block: it takes all kinds in Venice! The Tudor home has ornate cut and stained glass windows. While each home is narrow, each is very deep. Note docks and small boats. 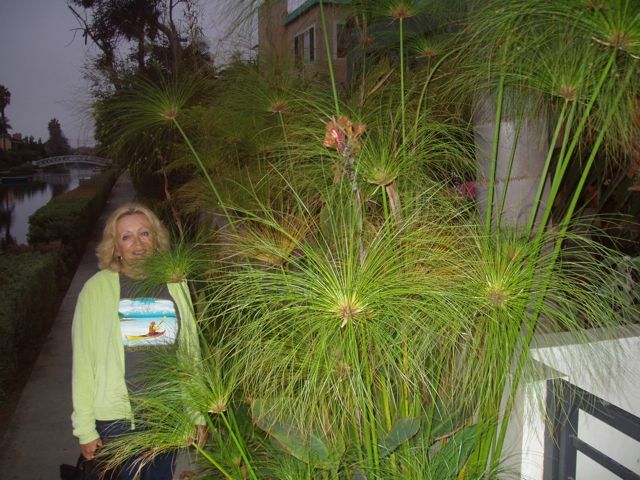 Conni hides in the papyrus. I understand why the Egyptians worshipped this beautiful plant. 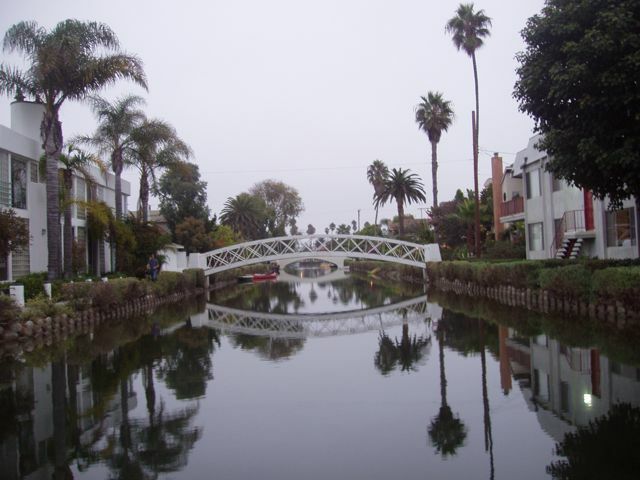 The beautiful system of picturesque bridges spanning the canals. 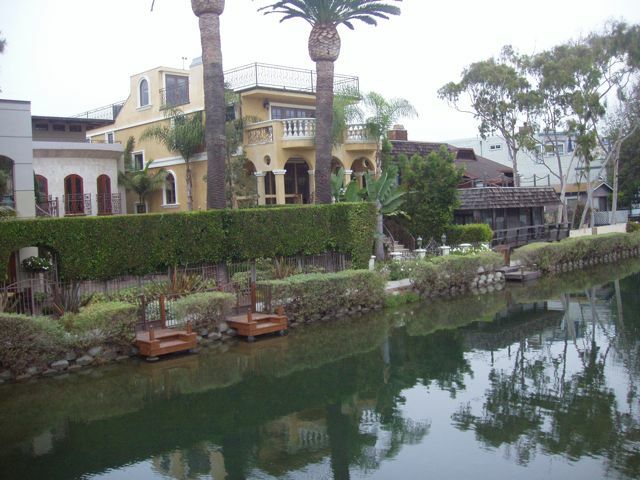 A classic scene in Venice: lovely homes, calm water, and people living on a waterway. What a great idea!